Mercedes-Benz Sale | April 25-27 | Limited-time 1% rate reduction on most 2019 models. Get in and out in record time. Mercedes-Benz Toronto Retail Stores have extended their hours on Saturdays exclusively for seasonal tire changeovers. We have specialized teams dedicated to tire installations to ensure prompt service. Enjoy a cup of coffee in our lounge while you wait for the service to be completed. 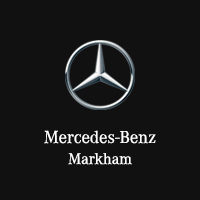 Mercedes-Benz Downtown | 761 Dundas St. E.
Mercedes-Benz Markham | 8350 Kennedy Rd. Mercedes-Benz Maple | 9300 Jane St.
Mercedes-Benz Midtown | 849 Eglinton Ave. E.
Mercedes-Benz Mississauga | 6120 Mavis Rd. Mercedes-Benz Thornhill | 228 Steeles Ave. W.
*Mounted tires on rims only. No other services available.